Vaccination rates have been on the decline in the Western world despite recent efforts by government and health officials to raise awareness and dispel myths. Recently, a pair of psychologists from the University of Lyon in France sought to explain the barriers to vaccine acceptance, noting that information blitzes have had inconsistent results at best. Part of the problem, the pair notes, is that the act of vaccination is, almost by definition, counterintuitive. Humans have an inherent sense of disgust that helps us avoid infection by making things like feces or rotten food repellant. The sense of disgust, as past studies have shown, is largely “dose-insensitive.” This means that people are repulsed by even small amounts of potential contamination. In most cases, this is a good thing. With vaccination, it makes the process run against a gut-belief that even small amounts of a virus can cause harm. But this little fear of harm is the most common reason given by parents who chose not to vaccinate. There is also the omission bias, a known effect where people consider it morally worse to cause harm by their own action than by not acting. A parent’s fear of a side effect from something they made their child undergo is stronger than the fear of the relevant disease itself. Certain factors are known to override these inherent responses and make vaccination more likely. The first and strongest is an active threat of disease. During periods where the threat of a disease can be felt—where people can see those who fall ill for themselves—vaccination rates rise. In the Western world where parents only know outbreaks of diseases like polio from history books, it becomes harder to feel the diseases are a threat. The other factor that can make a difference is trust. Parents, for the most part, do not have access to the evidence behind studies that show vaccines to be safe and not all have the same level of faith in government and health authorities. Finally, vaccine-hesitant parents do not all share the same concerns. One may be worried about side effects, another about allergies, and another about potential outcomes based on a story from a friend or loved one whose child got sick despite being vaccinated. One-way channels like advertisements or government messages can only respond to a handful of counter-arguments, meaning not everyone has their concerns addressed. 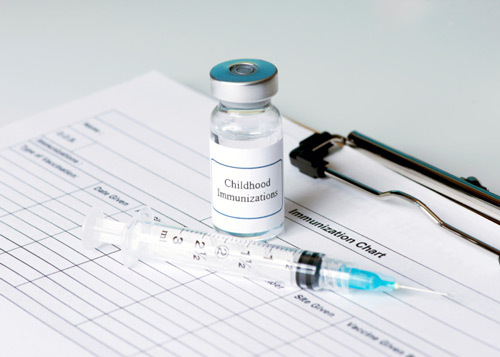 When parents are able to have their specific concerns responded to, such as in a round-table panel format, experiments have shown that they are more likely to vaccinate. By keeping these psychological properties in mind, it is hoped that authorities can better inform people about vaccination and help reverse the declining trend. Chanel, O., et al., “Impact of Information on Intentions to Vaccinate in a Potential Epidemic: Swine-origin Influenza A (H1N1),” Social Science & Medicine 2011; 72(2): 142–48, doi: 10.1016/j.socscimed.2010.11.018. Horne, Z., et al., “Countering Antivaccination Attitudes,” Proceedings of the National Academy of Sciences of the United States of America 2015: 10321–0324, doi: 10.1073/pnas.1504019112. Miton, H., et al., “Cognitive Obstacles to Pro-Vaccination Beliefs,” Trends in Cognitive Science 2015: 633–36, doi: http://dx.doi.org/10.1016/j.tics.2015.08.007. Nyhan, B., “Does Correcting Myths about the Flu Vaccine Work? An Experimental Evaluation of the Effects of Corrective Information,” Vaccine 2015; 459–64, doi:10.1016/j.vaccine.2014.11.017. “What Blocks Pro-vaccine Beliefs?” EurekAlert! web site, October 29, 2015; http://www.eurekalert.org/pub_releases/2015-10/cp-wbp102715.php.